We will provide you with high quality private dental care with a full range of general dentistry and in-house specialists. We will offer you proven treatments to ensure we exceed your expectations in terms of treatment prognosis. We will avoid compromised treatment. We will ensure that you are treated by the provider best suited to carry out the procedure. We will discuss all reasonable options with you. Where the evidence exists we will always offer you the best option first. We will discuss pros and cons honestly with you to ensure that you can give us informed consent for your dental treatment. At Uptown Dental Surgery, we aim to give the gold standard when we take you through our comprehensive new patient check-up on your first dentist appointment with us. We have examined all the evidence and benchmarked best practice for dentists across the world to ensure that when you see us for the first time, your check-up appointments are second to none. At your first appointment you will no doubt notice the comfortable and clean clinical environment of our dental clinics. You will be asked to fill out a comprehensive medical evaluation form which allows us to understand your health better so that our dentists can ensure that your dental care is individually suited to you. When you enter the dental surgery it is important to us that you have the opportunity to feel relaxed and comfortable. Our calming colour scheme and cutting-edge equipment creates the right atmosphere and our caring, experienced dentists are all trained to give you room to breathe during your appointments – ensuring you have the chance to make sure you get what you want out of your dentist appointment. Once you have had the opportunity to get to know your dentist, it's time to lie back and relax so that the dental check-up can begin. As we are treating a person and not just a mouth, your general health will form an integral part of the evaluation process. Certain systemic conditions such as vitamin deficiencies and anaemia, for example, show signs in the mouth and, on occasion, a change in your mouth can be the first sign of an illness you were not aware of. We use state-of-the-art technology such as an intra-oral camera to take individual images of your mouth and teeth. This allows you to look at these in comfort whilst your dentist explains the details to you. We can even print pictures so that you can take images home with you after your dentist appointment to help you decide what is best for you. Comprehensive dental X-rays may be taken at your check-up appointment. X-rays allow your dentist to assess areas that are not visible to the naked eye such as underneath your gums and right between your teeth. Our clinic is equipped with digital intra-oral X-ray machine which allows very detailed X-ray of your teeth while minimising your exposure to radiation. Your dental condition is recorded on our cutting edge dental computer software and, once your dentist has fully evaluated your dental health, you will receive a customised treatment plan offering all the options to help you improve your oral health. It is important to you that we have totally transparent pricing. With this in mind, your dental estimate is very clear about the cost of each part of your dental treatment. 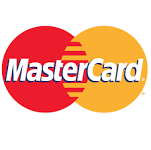 For your convenience, we accept cash & most major debit/credit cards. Payment is expected at the time services are performed. Feel free to contact our staff if your treatment plan requires more comprehensive dental work & you want to discuss financial arrangements.